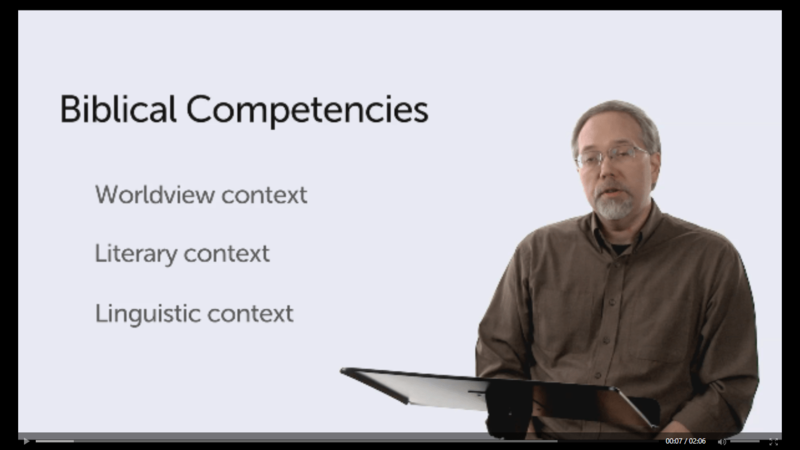 If you would like expert guidance on how to study the Bible, then you should consider the Mobile Ed course by Logos entitled, “Introducing Biblical Interpretation.” In my first post on “Introducing Biblical Interpretation” (which can be found here), I looked at the overall format of Logos’s Mobile Ed courses and provided an overview of what this course has to offer. In this review I will look more specifically at the first half of the course, detailing its strengths and weaknesses. Before proceeding, however, I would like to point out some exciting new developments with Logos. In my previous post, I noted how Logos Bible Study software has taken Bible study to a whole new level with Logos 5. No sooner were my comments “hot off the press” when Logos introduced its newest and latest version Logos 6! Logos 6 makes some gigantic leaps in Bible study and I can’t wait to procure a copy of it. For an introduction to Logos 6 click here. Now on to the review! In a brief introduction to the course, Michael S. Heiser announces that his task is threefold: 1) to alert the student to various obstacles interpreters face (hence why there are different interpretations of a biblical text); 2) to train the student to “see things in the text.” As Heiser states, “Bible study, Bible research is a lot more than Bible reading;” and 3) to act as a guide by showing how to analyze the text, as well as, introducing various resources that are available to help with Bible study. In order to conserve space, I will not take the time to go through each of these. Some are obvious. For example, “presuppositions” (#1). This involves being aware of our own experience and background and being careful about reading things into the text. Translation (# 6) is another obvious obstacle. I will focus on a few less obvious obstacles (or at least attempt to explain how Heiser sees certain things as obstacles). By “The Author” (#2) Heiser means that since we don’t know who wrote some of the books of the Bible and since we can’t get into the ancient author’s head, finding the author’s meaning is not always a fruitful approach. While it is true that we don’t know who wrote some of the books of the Bible, some of the methods that Heiser introduces later in the course are a reliable way of getting at the meaning of the text. Heiser himself will encourage us to find the author’s meaning and not substitute our own (in unit 2 under biblical context, he makes a point about the perspective of the author and the audience). Therefore, I must admit to a little confusion here. Perhaps he means we should not get side-tracked by pursuing a portrait of the author, but focus on the text itself. Heiser is clearer on what he means by other obstacles. The Reader obstacle (#3), discusses an approach popular in some academic circles known as “reader response theory” which says the reader determines the meaning. In other words, “The text means what whatever I think it means.” Heiser rightly cautions the student against this view and offers a helpful critique. This particular obstacle is more likely to be encountered by the serious Bible student who is reading certain scholarly works (seminary students, pastors, etc.). While all can benefit from this course, an example like this points to the kind of audience that Heiser is addressing. Heiser refers to another obstacle as “Medium” (#4.) By “Medium” he means that the Bible is a written document and so we do not hear voice inflection, or experience body language when the text is being read. As a result, a written text is harder to interpret than a verbal communication where these things can be observed and heard. The next section of the course (unit 2) is very short and acts as an introduction to what follows. Unit 2 consists of 2 parts. In part one Heiser discusses the importance of context. By context, Heiser does not simply mean the literary context of a passage, but rather, the social, cultural, and religious context in which a passage was written. It is important for us , as much as is possible, to get into the world and thinking patterns of the ancient biblical author (here again is where I find confusion with his obstacle #2 mentioned above). Heiser then goes on to introduce three contexts that the Bible student needs to be aware of. They are, the “Worldview context,” the Literary context,” and the “Linguistic context.” Each of these “contexts” are the focus of units 3, 4, and 5 respectively. We will proceed by looking at unit 3, the “Worldview context,” and save the others for our next review. Heiser begins unit 3 with a helpful breakdown of 3 subcategories that are important to understanding the “Worldview context”. These subcategories are: the historical context; the cultural context; and the religious context. Under the historical context Heiser discusses the importance of geography (knowing biblical places), knowing the broad historical context (history of the ancient Near East, especially Israel), and knowing the immediate context (the historical context in which the author wrote). Under the cultural context, Heiser lists 3 areas of importance: attitudes, morals, and daily living. Under religious context, Heiser (who likes to break things into 3 categories) talks about the importance of understanding cultural beliefs, supernatural and supersitious beliefs, and ritual purity. 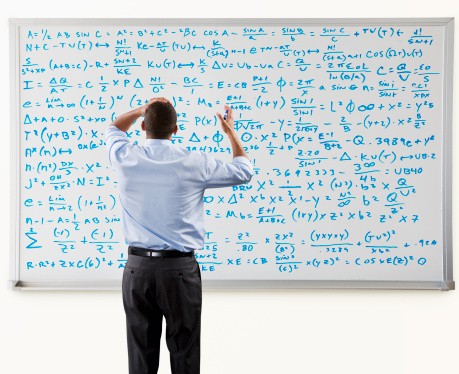 But how does an average student gain some knowledge and competence in these areas? It can all seem a bit overwhelming. The rest of this unit is devoted to various tools and resources that are available to the student. Heiser acts as a guide (one of his purposes!) in showing the student not only the various types of sources, but the value, or lack thereof, of certain sources, and how to use them. For example, I found his discussion on the various kinds of commentaries to be a helpful guide to the lay person or beginning student. Heiser breaks commentaries down into (you guessed it) 3 kinds. 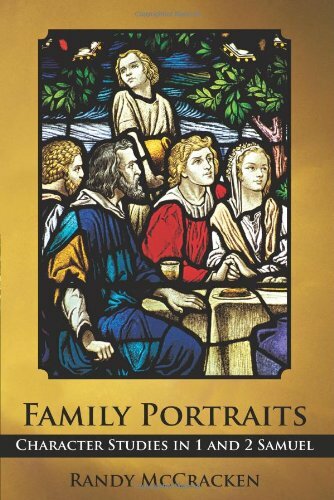 Devotional or Popular (a one volume commentary with very general info), Expositional (more specific, English based, dealing with some textual issues), and Scholarly (based on research in the original languages, with more indepth discussion of the various issues raised by a text). Another helpful discussion concerns Internet resources such as Google Books and Google Scholar, as well as online journals and the pros and cons of various wikis. 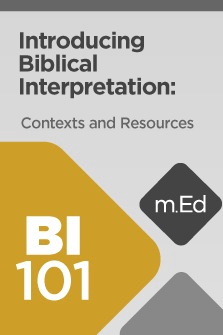 “Introducing Biblical Interpretation” is an excellent course. But everything has its problems! Before delving into a few problems that I have found with “Introducing Biblical Interpretation,” I want to state that Heiser has pulled together a vast amount of helpful material and has, for the most part, presented it in a clear and logical way. This course is well worth the few shortcomings that I mention here. “Introducing Biblical Interpretation,” like other Mobile Ed courses from Logos, contains recommendations for reading material. After each section, there is a link to various sources in Logos for further reading. Some of the material in the quiz sections (including Midterm and Final exams) are based on these readings. This is what you’d expect in any course. However, if you are taking a University course, you have access to all the books in the University library. The problem with Logos Mobile Ed courses is that, unless you have one of the top of the line packages in Logos, there are a number of resources that you won’t have access to. While it would be great to have the best Logos package available, sometimes that’s just not possible. My particular package is the Logos 5 Gold package, plus I have supplemented this with other resources over the years. In spite of that, I frequently found that I only had access to a small portion of the recommended reading material–usually 1 of 2 or 1 of 3 sources. This, of course, creates quite a handicap for passing the quizzes and exams. It is also very frustrating when you would like to do the recommended reading. What is the solution? Obviously being able to purchase the sources would be ideal, but what if you can’t? I’m wondering if there is a way that Logos could create access to a certain portion of the resource for the person who has purchased the Mobile Ed course? For example: there is an article in a Bible dictionary that is recommended reading. I don’t have the dictionary, or the money to purchase it. Could Logos give me access to that particular article without granting access to the entire dictionary? Is there a way to build that into the Mobile Ed course? I’m not a computer programmer and what I’m suggesting may be a technological nightmare, but I’m wondering if there isn’t some sort of compromise that would help the eager student. The upside for Logos is, if the student gets a lot out of a particular resource, it might provide the motivation to purchase that item. I’ve discovered two other minor problems with “Introducing Biblical Interpretation.” The reason I call them minor is that they appear to be “one off” type problems. The first example involves using a tool that provides the wrong definition for what the teacher (Heiser) is discussing. Following Objection #6 Translation, at the end of the discussion, there is a link under “Guides and Tools” to “Translation.” Clicking on the link, you expect to read a definition or article that deals with the translation of biblical languages. Instead, what you find is a definition that relates to one being taken to heaven (ala Enoch, Elijah, or the rapture! ), or being translated into the kingdom (Col. 1:13), but nothing about Bible translation! Another minor quibble is making sure all reading materials assigned are relevant. Objection #10 in unit 1 discusses “Validation.” Heiser notes that none of us are perfect and, therefore, even if we are equipped with the right tools and approach, we need to continue to recognize our limitations. I couldn’t agree more. However, one of the assigned readings for this segment is a Bible Dictionary article on “humility.” While it is true we need a large dose of humility when interpreting the Scripture, it doesn’t seem that reading a definition from a Bible Dictionary is particularly helpful (maybe that’s just me though). If the reading assignment doesn’t further the student’s knowledge, then it’s superfluous. If humility needs to be emphasized further, then a teacher’s exhortation is more motivating than a dictionary article. Again, the problems encountered in “Introducing Biblical Interpretation” are minimal compared to the many gains that one will receive from the course. I look forward to getting into the second half of the course and sharing what I find in a future post. Previous PostFire From Heaven: Is God’s Judgment Just?Next PostBible Study: Can It Be Spirit-Led and Academic?